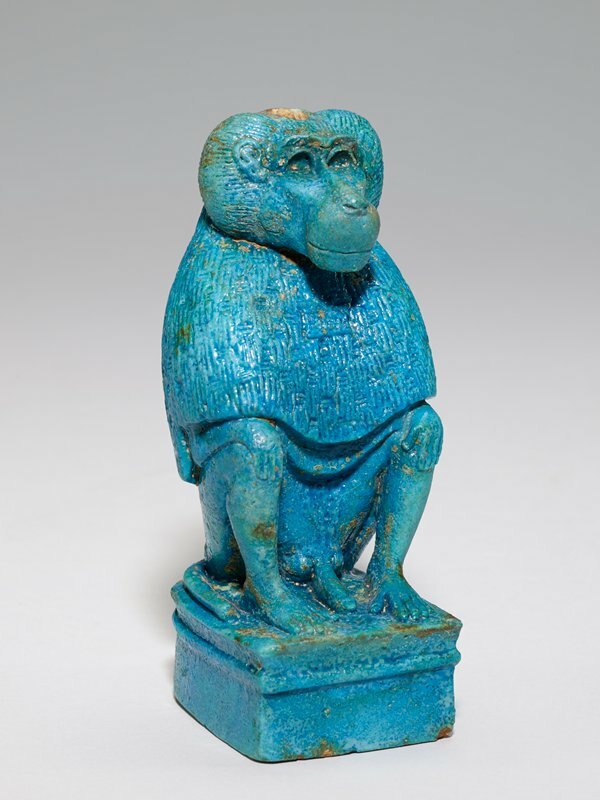 Monkeys were kept as costly pets by the elite in ancient Egypt, yet their regal appearance and imposing presence also made them useful representations of gods in the Egyptian religion. The baboon was usually associated with Thoth, one of the moon gods. This animal has a hole in the crown that once held a lunar disk sitting on top of a crescent moon, an attribute of Thoth. For a 2,600-year-old artwork it is in remarkable condition, and though the animal is small in size, its posture and expression command authority.